Cobalt’s sister Cyan came to visit us for Christmas! 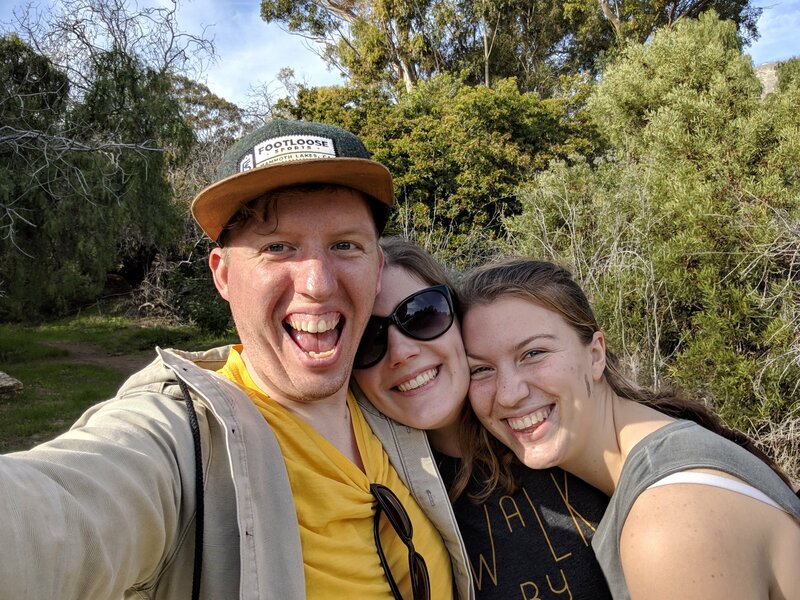 What a fun time we had together, hiking in Palos Verdes, visiting the Getty Museum, eating seafood, attending our church, and of course celebrating the birth of Christ together! Here are some photos from her visit (click to see larger photo)! Thanksgiving was such a blast this year! Cobalt and I visited my immediate and extended family in Texas and had a wonderful time. 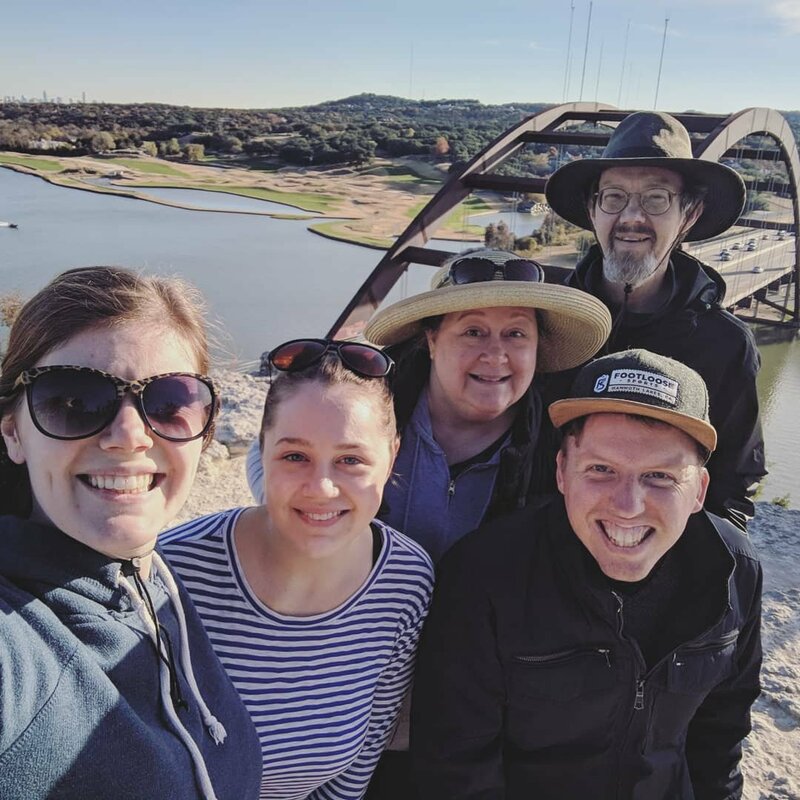 Spots we visited: Pennybacker Bridge, Wild Basin Preserve Lake LBJ, Zilker Park and more Fave food: Salt Lick BBQ, Lick Icecream, Guero’s Tacos, Gourdough’s, Homeslice Pizza and more Here are some photos from our trip (click to enlarge). I’ll add more later. 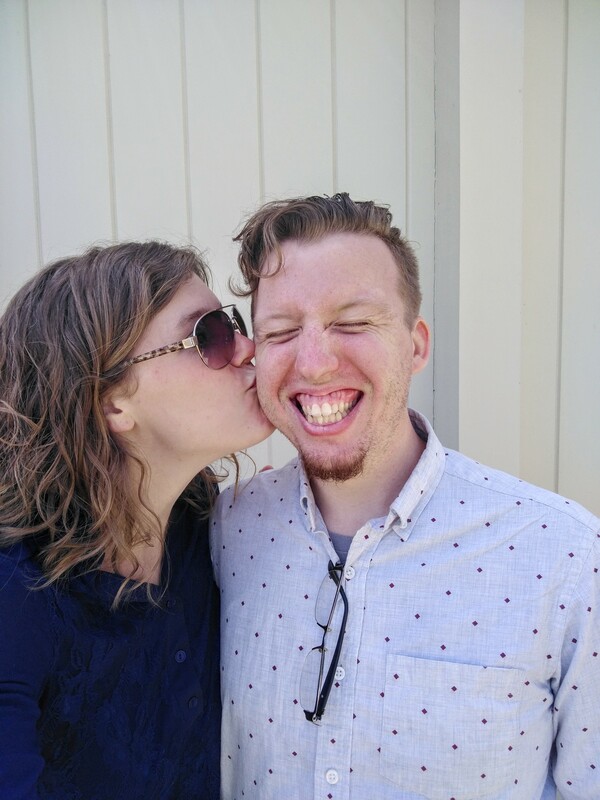 One year ago, Cobalt and I hung out at the VA in Johnson City (across the railroad tracks)….reading, basking in the sun on my picnic blanket…and taking pictures of the beautiful day… We snapped a couple of ourselves, too :) I’m so grateful for this man! This is the website of Hope and Cobalt. Welcome to our life and we are glad you can be with us right from the start. There will be more information coming soon about our “Grand Unity Shin-Dig.” Hope to see you around the bend.